Have you been thinking of buying a house in Texas? Looking for a property that is not only good but also fits your budget? 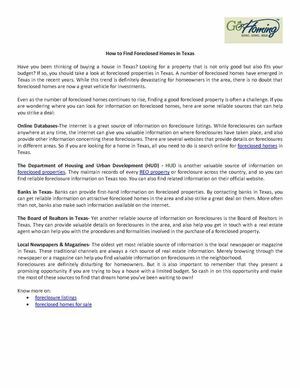 If so, you should take a look at foreclosed properties in Texas. A number of foreclosed homes have emerged in Texas in the recent years.